This week when I bought all that wonderful $1 produce. I bought a bag of bananas too. 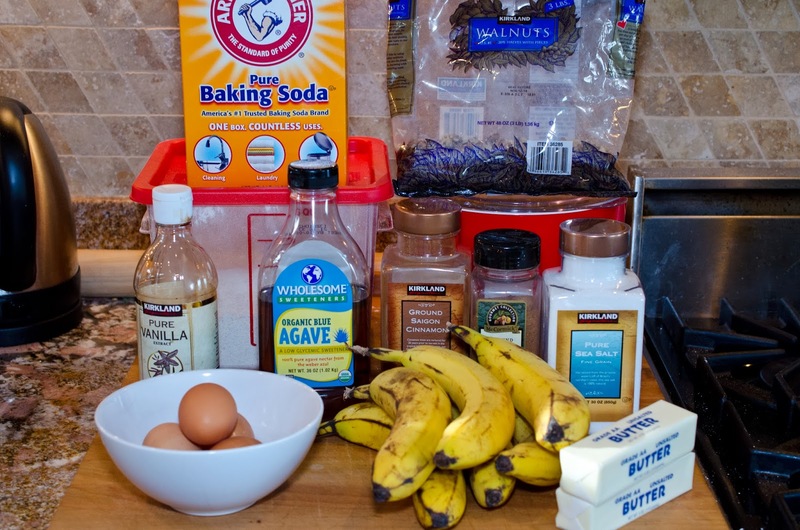 Those banana's were just begging me to make them into muffins. I know what you're thinking. My goodness, this woman is obsessed with muffins. What is her problem? 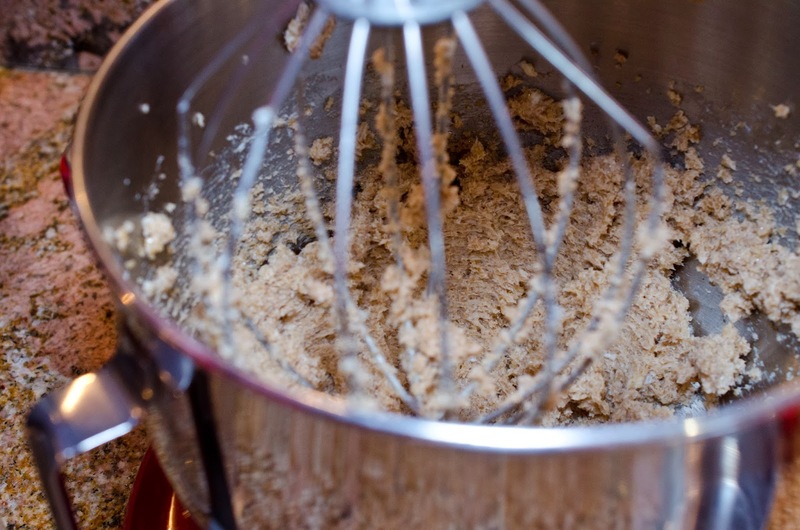 Good news, this will be my last muffin recipe for a while. 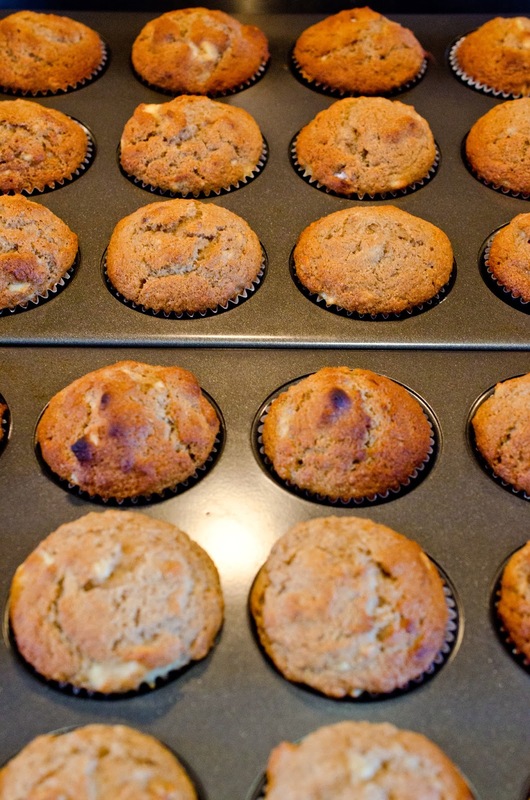 The muffin girl is retiring her quest to make all sorts of muffins. I'll make them, just not new recipes to share with you. 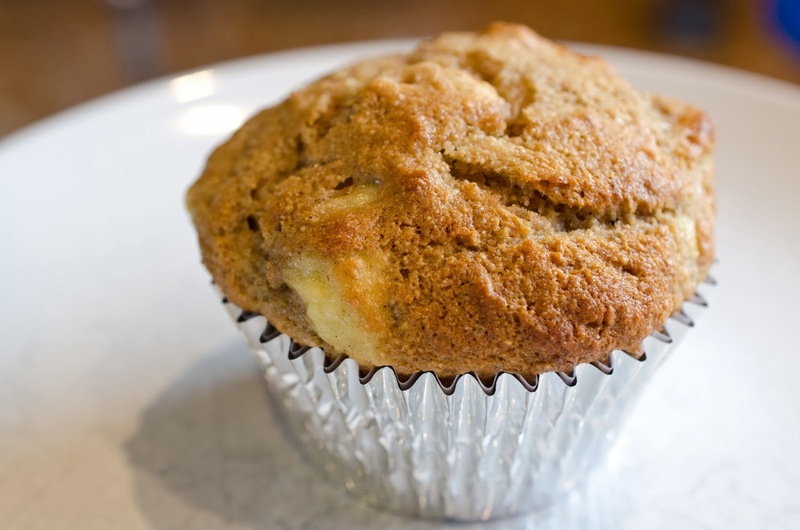 I have found my four go to muffin recipes as of today! Go forth today knowing I have given you a sure foundation of muffins to create your own muffindom, and you didn't have to go to Drury Lane! THIS is the culmination of muffindom! 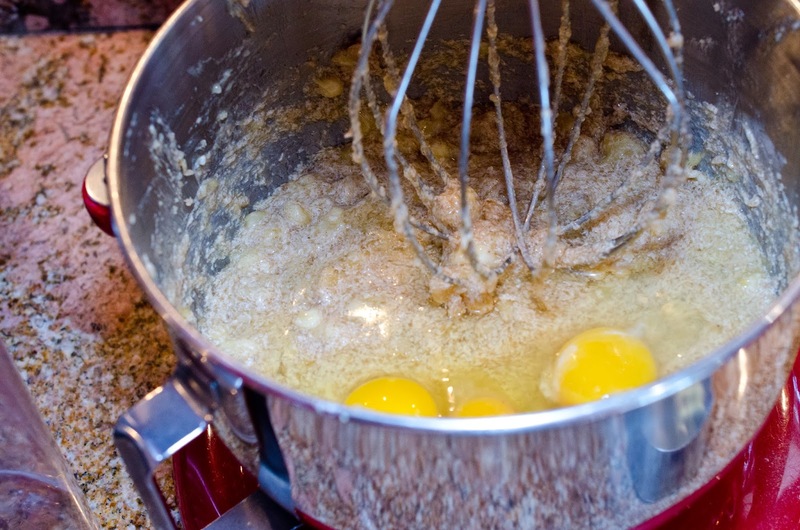 eggs, 2 cups Wonderflour (whole wheat would also work, and 1/2 cup chopped walnuts. 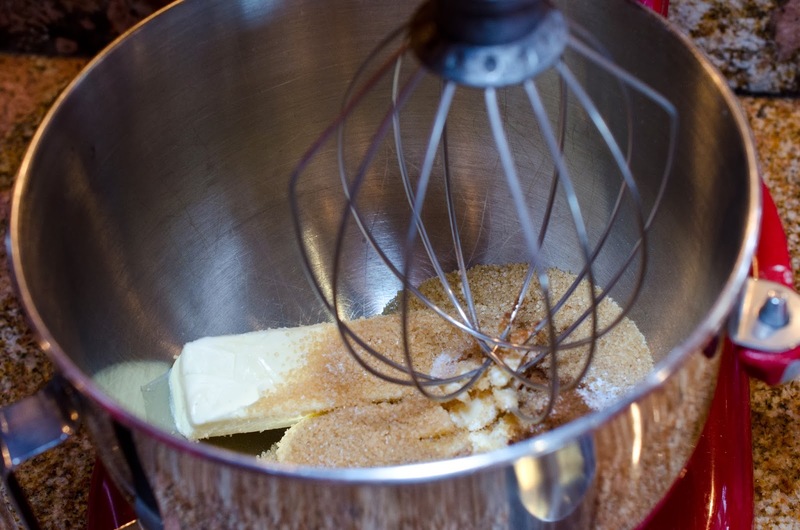 Cream butter, sugar, cinnamon, nutmeg, and baking soda in a mixer with a whisk. 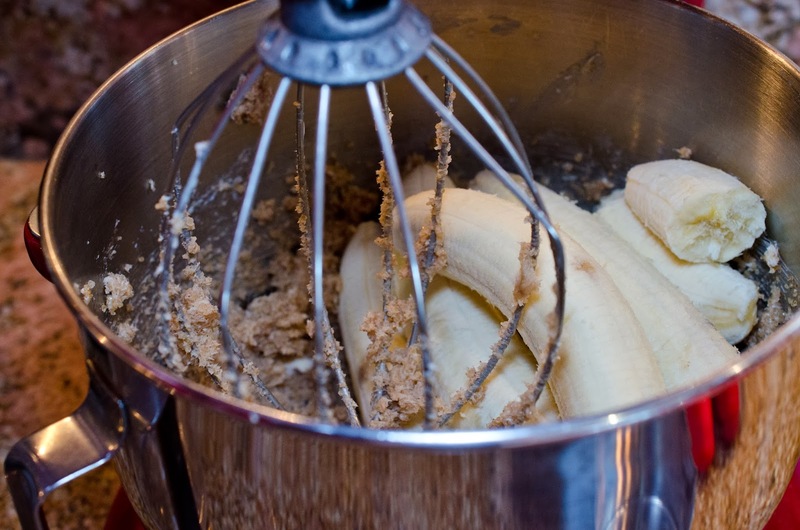 Add bananas, and agave, beat till smooth. 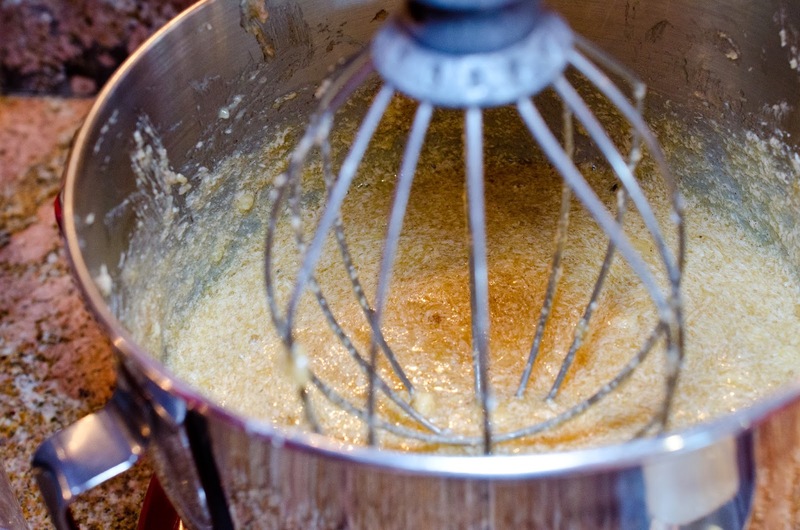 this batter is looking smooth. 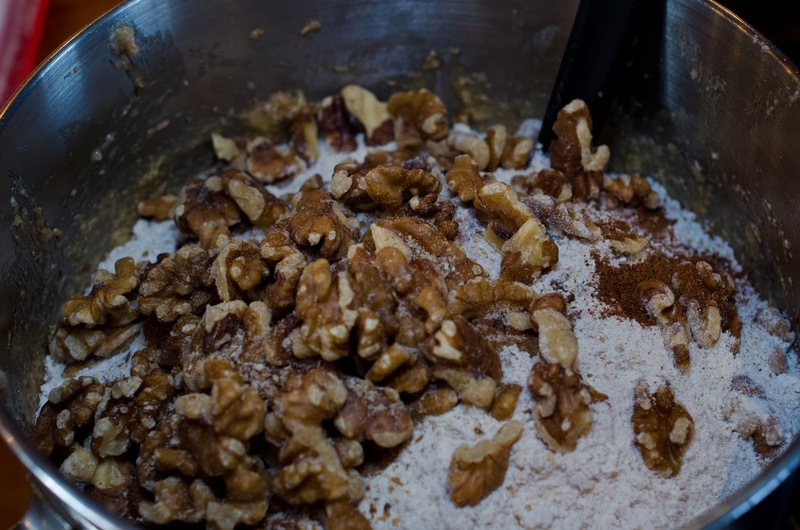 Add walnuts, and flour and stir with a silicone spatula or wooden spoon. 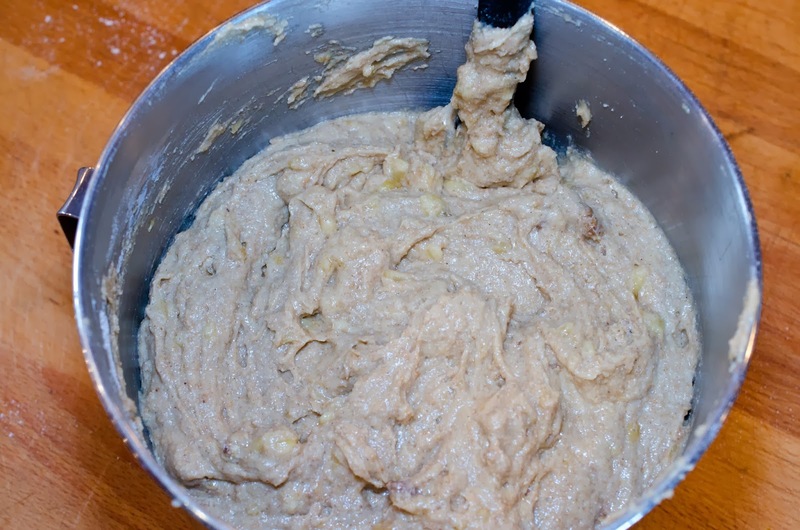 This batter is ready for baking. Make sure you use muffin liners! 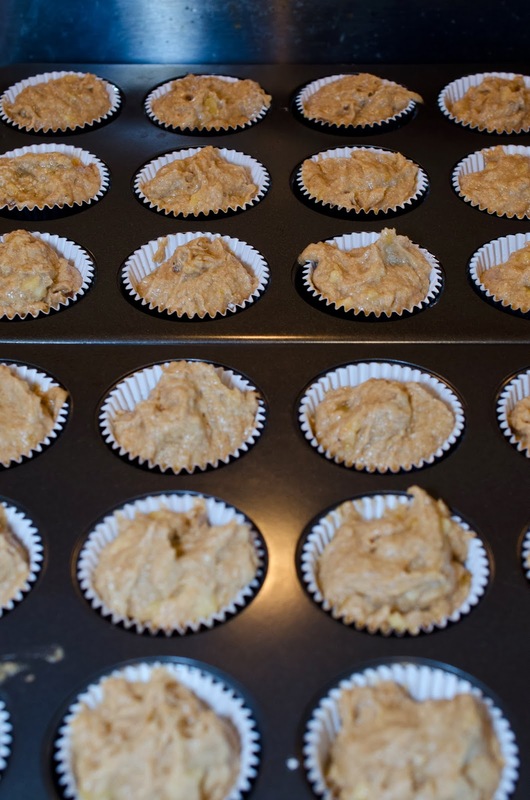 This recipe makes 12 muffins, I doubled it for my family. Place filled muffin pans in oven and bake for 23-28 minutes, check if they are done with a toothpick. This is a wonderful end to my muffin week. These were so delicious - perfectly moist, perfectly spiced, plenty of banana flavor. I personally would add more walnuts, but I'm a walnut lover. I would also brush the top with butter right after pulling out of the oven (for a moister top).